Big Bud is a heavy yielding, well-known Cannabis strain that was first developed in the USA before being taken to Holland where it was stabilised and feminised, creating the strain we know today. 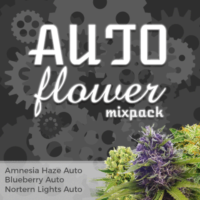 These Indica dominant seeds were created from a Northern Lights, Afghan and Skunk and retain many of the common traits and characteristics found in those strains. Big Bud seeds can be grown both inside and outdoors, but are generally considered a perfect strain for the indoor grower. Strong stems and large buds are characteristic of this strain, making it a perfect choice for Screen-of-Green growers, where the ‘flowering stretch’ can be better managed to produce a dense canopy. Good growing techniques, such as topping, bending or ‘SCROG’ will ensure a healthy harvest, with returns of 450-550 grams of large, dense buds per square meter easily achievable. Longer vegetative times, and outdoor growers will experience greater ‘per-plant’ yields, but for the indoor grower looking for high quality, heavy harvests. Big Bud is famous for its heavy yields, with a mature height of between 120-150 cm, achieved easily with limited vegetative time, these plants are capable of producing between 450-550 grams of dried, high quality buds per square metre. Individual plant yields can be substantially more, given a longer vegetative period, and by the use of super-cropping techniques, such as bending, screen-growing and topping. With a Skunk influence, Big Bud was always going to be an aromatic strain, and the complex genetics produce an earthy-pine smell and flavour, quite strong and pungent. 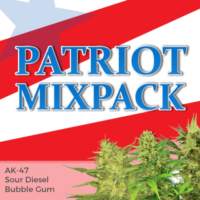 The buds are large and swollen, light green, with an orange colouring, THC levels of 16%, together with a low CBD content, ensures a long-lasting, euphoric sensation, making it a perfect choice for both day and nigh-time use. These Big Bud seeds from the I Love Growing Marijuana seedbank are available in packs of 5, 10 and 20 feminized seeds, all guaranteed by Robert Bergman himself to be completely feminized, guaranteeing you stable, female-only plants, without any male chromosomes. 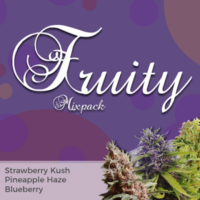 The blend of Sativa/Indica produces a balance ‘high-stoned’ feeling with a feeling of well-being and contentment. A perfect strain for evening use, providing waves of relaxation and calmness from its sweet, skunk-like flavour. The heavy Indica genetics can induce the ‘munchies’ while the Sativa genes provide a happy, euphoric sensation that lingers. 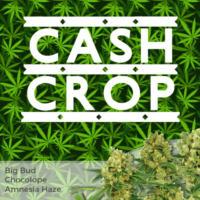 One of the original ‘Cash-Crop’ strains and loved by commercial growers for it’s low leaf to bud ratio, making it very easy and quick to manicure, as well as it’s large buds and dense yields. Perfect for Screen-of-Green (SCROG) techniques which can actively help to support the heavy budding lateral, or side, branches. The lower THC and CBD levels produce a happy, easy-going feeling that can help with depression and stress. A good source of natural pain relief for arthritis sufferers, as well as assisting with sleep and appetite stimulation.